8 Selectable Fighters - including 6 new characters and 1 fighter hidden within the game! Watch out for this dude! 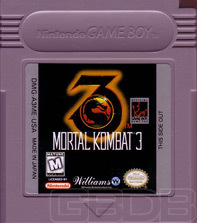 The largest Game Boy™ fighters ever, so you can really get into the action! 5 direct from the arcade backgrounds to keep you jumping! 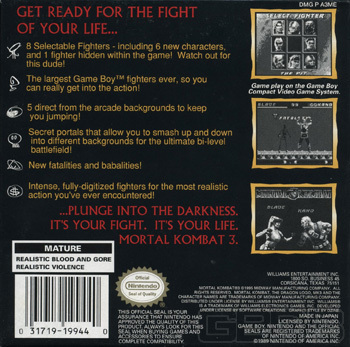 ...PLUNGE INTO THE DARKNESS, IT'S YOUR FIGHT. IT'S YOUR LIFE. 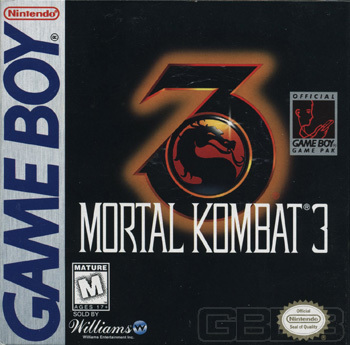 MORTAL KOMBAT 3.